Nashville, TN, April 03, 2019 --(PR.com)-- Tim Gray, CEO of Nashville based marketing agency, Grayscale Marketing, has launched a leadership video and podcast series, The Golden Rules. To date, the show’s guests have over 200 years combined music industry experience, sold over 500 million albums, and gained over 1 billion streams. Justin Levenson President of Lev's House Entertainment, Brad Belanger President of Homestead Entertainment, Peter Hartung President of L3 Entertainment, Rusty Gaston Partner at THiS Music Publishing, Joe Atamian Booking Agent at Paradigm Talent Agency, Al McManus Operations Director at Ask4 Entertainment, John Ozier Vice President of Ole Music Publishing, Derek Crownover Partner at Dickinson Wright Law, John Folk President at Red 11 Talent Agency, Dirk Hemsath Partner at Hard 8 Working Group Artist Management, Michelle Tigard Kammerer National Director at Big Machine Music Group Records, Mike Molinar General Manager at Big Machine Music Publishing, and Pam Matthews Executive Director at the International Entertainment Buyers Association. 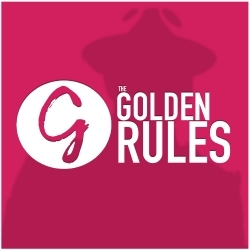 The Golden Rules is a podcast and video series featuring interviews with Nashville's TOP music industry executives, marketing heavyweights, and brand leaders about their golden rules for life and business.